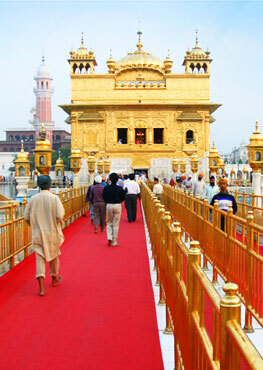 SIKHI: THE JOURNEY & THE DESTINATION by I.J. Singh. Published by Nishaan Nagaara in association with Chardi Kalaa Foundation, 2018. ISBN 978-93-82811-09-1. 300 pages. “But to apprehend the point of intersection of the timeless with time, is an occupation for the saint,” T.S. Eliot tells us in his lengthy poetic work Four Quartets. While one might not necessarily characterize I.J. Singh as a saint, he has indeed made the meticulous parsing of the points of intersection of the timeless tenets of Sikhi with the time-bound aspects of the contemporary Sikh diaspora into his occupation – or, one could say, his life’s true vocation! Throughout the pages of all of his five previous books, the author has taken evident intellectual delight and visceral joy in the challenge of “connecting the dots,” and this sixth compilation of essays is no exception. Many, if not most, other authors of essay compilations have their own “pet” topics they feel comfortable writing about, and stick exclusively to them. Not I.J. Singh! As is the case with his five earlier books, Sikhi: The Journey & The Destination lavishes upon the reader a mind-blowingly diverse smorgasbord of themes and ideas relating to Sikh life in the modern diaspora. Similarly, this work, like its antecedents, is in no way a rigid catechism or an uninspiring “How-To” manual of what to believe and how to behave. There is no spoon-feeding, nor mental coddling; no black-and-white, “carved in stone” answers are ever provided. As they make their way through this volume, readers must always think for themselves, and thereby actively engage in the contemplation and inquiry – the Vichaar – that is an intrinsic part of Sikhi. The Foreword and Introduction that begin the book are written by two distinguished and prominent India-based Sikhs: Mohinder Singh (Professor-Director, National Institute of Panjab Studies, New Delhi) and Tarlochan Singh (Ex-M.P., and Former Chairman, National Commission for Minorities, India), respectively. Highly laudatory of I.J. Singh and the products of his prolific pen, these brief but enlightening sections are well worth reading. Following the Introduction is a short section of Acknowledgments, written by the author himself. Subsequently, the reader should definitely not be tempted to skip I.J. Singh’s Preface. Besides being a source of interesting autobiographical information – giving the reader a fine opportunity to understand how the events of his life history catalyzed his deep and abiding interest in exploring Sikhi through his writings – the author provides a wonderful exposition of his personal mindset, particularly highlighting his strong and abiding predilection for frank discussion and vigorous debate. He also discusses the methodology he uses to write his essays, and the reasons he thinks they are meaningful and needed by his intended audience of both Sikhs and non-Sikhs. Here, I.J. Singh not only situates himself firmly in the modern American Sikh diaspora, but also ensconces his sixth book into context among his previous five works. The evolution of his thought processes and the means by which his new ideas build upon the foundations of the preceding ones are much in evidence in this prefatory section. Both those readers who are new to his writings and those who are already familiar with his formidable oeuvre will particularly appreciate the Preface as an “appetizer” to prepare one’s mind for the sumptuous literary banquet to follow. So much could be said about every essay in this book! Here follows a discussion of seven of them that I found of particular interest. His own Sikhs honored Guru Gobind Singh as Mard Agamra, a peerless man, I.J. Singh explains in Essay III, “Guru Gobind Singh: The Man Non-Pareil.” Although this essay describes the many reasons why the Tenth Sikh Master was quite extraordinary, this essay focuses on Guru Gobind Singh not as disconnected from the Sikhi of Guru Nanak (the first Founder-Guru), but as an integral part of the progression of ten human Gurus who worked towards a common goal: mentoring a community under “virtual siege” to form “a human development movement” and forge a borderless Sikh nation with a defining ideology, philosophy, and core of common ethics. In this essay, I.J. Singh cogently lays out the four transformational events of Guru Gobind Singh’s legacy: the initiation rite of Amrit Sanchar as a defining marker of Sikh identity; the taking up of arms when necessary to defend freedom; the investiture of Sikh spiritual primacy in the Guru Granth Sahib; and the establishment of Sikh temporal authority in the Sikh Panth. The end result was “a revolution via evolution,” the author explains, which has enabled Sikhs to go forward into the changed realities of the future with wisdom and determination. In Essay XIII, “Translating Gurbani: Pitfalls & Pleasures,” I.J. 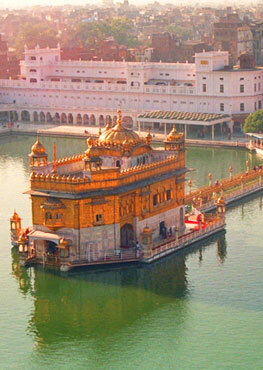 Singh posits that, although numerous English translations of (and online search engines for) the complete Guru Granth Sahib already exist, there is nevertheless the need for new initiatives to translate the Sikh scripture in user-friendly terms that are relevant to the Sikh “globally connected existence of a nation without walls.” The norma loquendi of Sikhs in the 21st century diaspora is no longer Punjabi, or any other Indic language, I.J. Singh asserts, and the legends of Indian mythology are now alien to a new generation. How else can Sikhs understand the Guru Granth Sahib and adopt it as a blueprint for daily living, without new undertakings to translate its mystical poetry and capture its lofty message? Even if a translation will always be inadequate in some way, and the original text of the Gurbani must ever be kept on hand, the struggle to make sense of “what the Guru really meant” is an intrinsic part of the lifelong path of a Sikh. No exploration of Sikh identity can fail to include a discussion of the Sikh turban. In Essay XXIX, “Turban of the Sikhs,” I.J. Singh analyses the debate surrounding whether the turban is an intrinsic, Guru-promulgated part of Sikhi, or whether it was a requirement initiated in the 20th century by the Singh Sabha reform movement and formalized in the Sikh Rehat Maryada (the code of Sikh conduct and conventions) only at that time. Some naysayers remain unconvinced by accounts of the events of Vaisakhi 1699, when Guru Gobind Singh created the discipline of the Khalsa – the community of initiated, committed Sikhs – and mandated that the long, unshorn hair of a Sikh (known as Kesh, one of the five Kakkars, or Sikh articles of faith) was to be covered by a turban. Others believe in the historical evidence of Kesh and the turban being consistent external markers of the recognizable Sikh male, starting from the latter part of the Guru period and continuing for over 300 years, right up until present times. Hewing closely to his signature penchant for “connecting the dots” throughout time and space, the author illuminates and expands the turban debate with an unusual example of binding traditions that became enshrined into law: the events leading up to the adoption, in 1947, of the 22nd Amendment to the Constitution of the United States, which limited the office of the U.S. President to two consecutive terms. By showing how laws evolve from and reflect a history of the shared values of a free people, I.J. Singh buttresses his argument for the Kesh and the turban being at the innermost core of Sikh identity. In Essay XXXI, “Ged Outta Da Box Awreddy” (the whimsical title playfully pokes fun at a stereotyped “Noo Yawk” accent), I.J. Singh discusses what is truly a major hallmark of his writing style, his proclivity for exploring the Guru Granth Sahib – and Sikhi as a whole – using not only references from Gurbani itself, but also from contemporary diaspora society. To the author, supporting his own opinions using an impressive panoply of non-Sikh sources (the Bible, William Shakespeare, Oscar Wilde and Albert Einstein would be a typical assortment,) is a very natural and desirable offshoot of the universality and timelessness of Sikhi. With a personal worldview shaped over many decades by both Sikh and non-Sikh texts and traditions, he heartily rejects the insular mindset held by many people that any validation of Gurbani concepts must come only from Gurbani itself. According to the author, Gurbani and modern society-at-large are not “hermetically-sealed cocoons” existing in isolation. Fostering the idea of universal connectivity, and examining one’s own faith through the lens of frank interactions and open dialogues with the outside world perfectly jibes with the ways the Gurus themselves lived and taught, I.J. Singh opines. Why shouldn’t the Gurus’ contemporary followers – today’s Sikhs – continue that tradition of dynamic exploration and receptivity? This in no way demeans or threatens Gurbani, he believes; on the contrary, it strengthens and emphasizes Sikhi’s timeless meaning and universal relevance. After almost 60 years of living in the United States, I.J. Singh is most certainly a Sikh-American. Essay XXXIV, “Sikh Americans: A Lament … … or Delight” is therefore a very appropriate addition to this book. This essay, which includes many interesting personal details of his early years in the U.S., examines the place of Sikhs and Sikhi within the immense framework of contemporary American society. The varied cultural practices and traditions that immigrants bring to America greatly enrich this nation and should be recognized and nurtured, the author stresses. While indisputably supporting integration, he questions the idea of the “melting pot,” which might result in homogenized blending beyond recognition of the diverse components that immigrants bring with them. Should America, then, be characterized as a tossed salad or as a mosaic, I.J. Singh wonders. After examining the relevancy of these metaphors, he settles on that of a multi-instrument orchestra, which can make beautiful music when wisely led. According to the author, Sikhs must continue to actively define their “place at the table” of contemporary U.S. society. By embracing “the core of American values that unites, defines, and enriches us,” one can – and should – become both a good Sikh and a good American. The thirty-sixth essay ends this delectable mind-feast, which is unfortunate for two reasons. Firstly, because the captivated reader would surely not want this marvelous book to be at its close! Secondly, unlike all of his previous five works, Sikhi: The Journey & The Destination has no Glossary. This is its biggest drawback, as some essays, admittedly, do need additional explanation for non-Sikh readers, or even for Sikhs who may not have in-depth knowledge of certain aspects of their faith. To be sure, this shortcoming is mitigated somewhat by the ease with which anyone can look up any topic on the Internet. However, when one has insufficient prior knowledge of a given subject, one runs the risk of not being able to discern when one is being misinformed by what one reads. Too often, in one’s search for background material to elucidate a particular concept, one is easily taken in by something written by a very authoritative-sounding author – who, in actuality, really doesn’t know what he or she is talking about. Of course, the most delightful remedy for this problem would be to find and peruse the Glossaries of I.J. Singh’s other works – and, of course, to read the entirety of those works themselves, too! This issue aside, Sikhi: The Journey & The Destination is “vintage” I.J. Singh. This book’s panoply of adroitly-dissected ideas will provoke, engage and gratify any reader who is fortunate enough to delve deeply into its pages. With his impressive range of knowledge of non-Sikh religions and cultures, and his highly articulate writing style, for which he is so very justifiably celebrated, I.J. Singh has penned a most worthy successor to his five other books: Sikhs & Sikhism: A View With a Bias (1994, 1998); The Sikh Way: A Pilgrim’s Progress (2001); Being & Becoming a Sikh (2003); The World According to Sikhi (2006); and Sikhs Today: Ideas & Opinions (2012). After living almost 60 years in America, the author has few peers when it comes to keeping one’s finger firmly on the pulse of today’s Sikh diaspora. His insightful commentary and subtle, trenchant wit consistently excite and delight the reader’s mind. Might there be a seventh book of essays in I.J. Singh’s future? Let’s hope so! In conclusion, I’d like to undertake a dot-connection of my own. Guru Nanak, the First Sikh Master, traveled far and wide, accompanied by his faithful Muslim companion, Bhai Mardana. During a voyage, the two hungry and tired men sought food and shelter in a village one night, but received only rude and unkind treatment from its inhabitants. The next night, in another village, they enjoyed lovely courtesy and hospitality. About the first group of villagers, Guru Nanak remarked, “May these people stay comfortably here in this village forever.” For those who lived in the second location, the Guru wished, “May the people of this village scatter everywhere.” In explaining his words to a confused Bhai Mardana, the Guru reasoned that the undesirable characteristics of those that lived in the first village should remain limited to one place, while the wonderful qualities of the second village’s inhabitants should spread far and wide, to benefit as many other people as possible. So, just as with the Guru’s beautiful wish, my hope for Sikhi: The Journey & The Destination is that it be disseminated as globally as possible, not only to Sikhs, but also (and especially) to non-Sikhs, as well. While this splendid book certainly deserves a warm and hearty welcome from the Sikh community, every feasible action must be taken to ensure that it does not remain exclusively within these confines, but that it is enabled to go forth into the world-at-large, to spearhead the desperately-needed efforts of education and outreach aimed at sharing the message of the timeless and universal faith of Sikhi. Now that would be wonderful, indeed!